What are the best Alabama fishing lakes in Alabama? What are the Best Alabama Fishing Lakes? 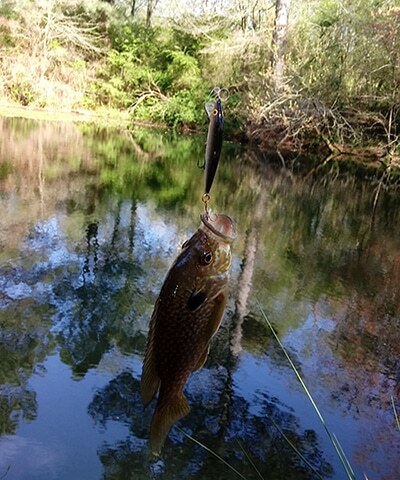 Alabama offers a great abundance of fresh fishing lakes to fish at. Alabama has some of the best Fishing in the country. 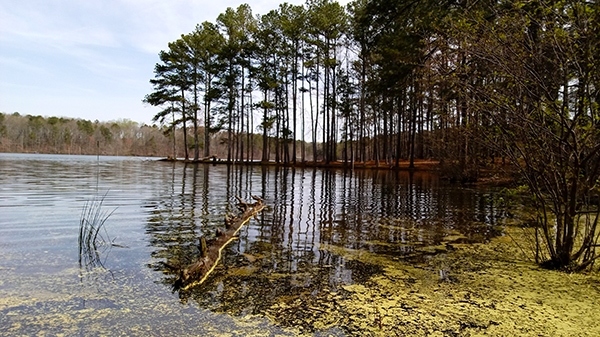 Over 23 public lakes are managed by The Alabama Wildlife and Freshwater Fisheries Division. There are a ton of other lakes, including public and private fishing destinations throughout the state of Alabama. Every year there are many fishing tournaments located throughout the state of Alabama, including Bassmasters and many other professional tournaments. Alabama has some serious fishing lakes and rivers, and you can’t forget the gulf also with an abundance of saltwater fishing! One of the best fishing destinations in Alabama is beautiful Lake Martin, which was home to the 2018 Bassmaster Elite. Lake Martin is a man-made 44,000-acre reservoir created by the Martin Dam on the Tallapoosa River with 750 miles of beautiful woodlands. Lake Martin can be a tricky lake to fish, the water clarity is high and make fishing difficult. Lake Martin is a great lake for crappie fishing in the summer and offers some great bass fishing. Lake Martin is for sure one of our best fishing destinations in Alabama. 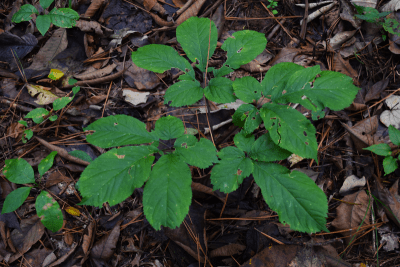 Species: black crappie, spotted bass, largemouth bass, striped bass, white bass, flathead catfish, channel catfish, redear sunfish and bluegill! One of the most beautiful lakes in Alabama is Lake Guntersville located in Marshall and Jackson Counties in northeast Alabama. From Nickajack Dam to Guntersville Dam, lake Guntersville stretches 75 miles with beautiful hardwoods and pine! That is some serious Alabama fishing territory. Expect to find some trophy largemouth bass, beautiful Striped Bass, Black Crappie and huge Catfish, we mean huge river cat! 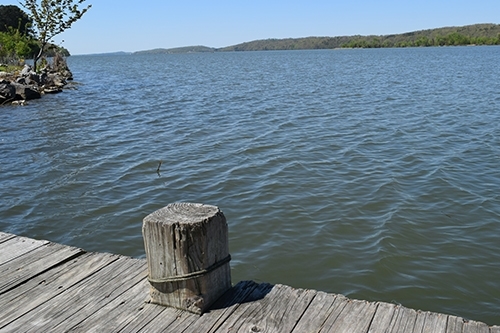 The perfect spot to rest while fishing is in Guntersville State Park! You will most likely see deer on your dishing trip to Lake Guntersville. 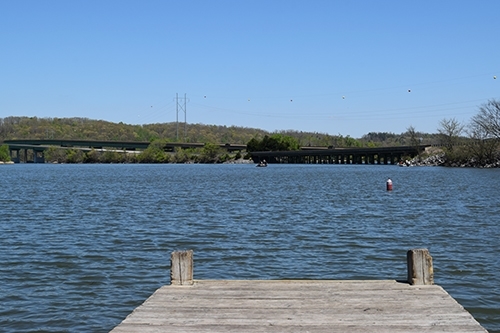 Lake Guntersville has many kinds of habitat from creek fishing to open lake fishing. Every fisherman should save a trip to beautiful Lake Guntersville. You can’t forget to mention they have an awesome campground and a world class lodge at Guntersville State Park. 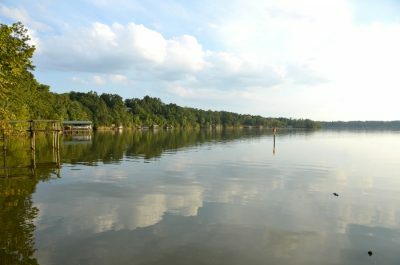 One of the best fishing lakes in Alabama is off the beaten path, Aliceville Lake, also known as Pickensville by locals. 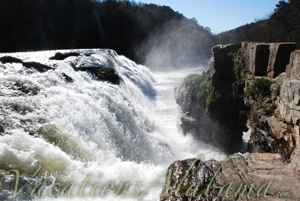 Aliceville lake is formed from Tom Bevill Lock and Dam on the Tombigbee River and consist of 8300-acres. Just west of Tuscaloosa, Alabama Aliceville Lake expands into eastern Mississippi and is part of the Tennessee-Tombigbee Waterway. Aliceville Lake ranked first in both pounds-per-angler-day and bass pre-angler day and by the BAIT survey! Find some great Alabama swampy fishing in this lake, it is excellent for grassy, stumpy, and shallow water swamp fishing. This is the perfect bass fishing lake! 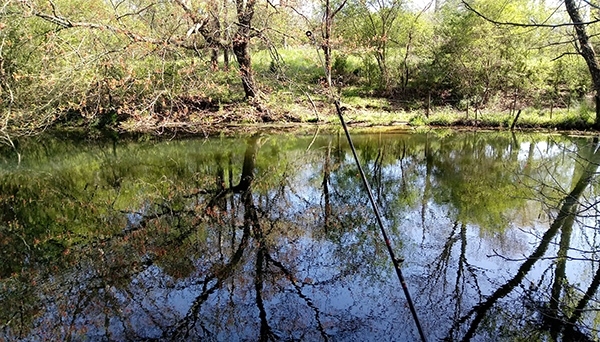 Dekalb County Public Lake has a great variety of fishing year around. The lake has been recently renovated is a 120-acre lake just a mile north of Sylvania, in Dekalb County Alabama. Find channel catfish year around and enjoy a good variety of fish on this lake. February through April is a great time for Crappie, while spring through summer boat anglers often catch redear sunfish and bluegill near the bank. 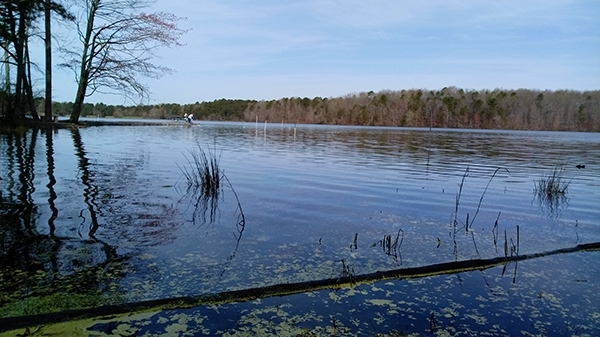 Expect some good largemouth bass fishing year around at Dekalb County Public Lake. 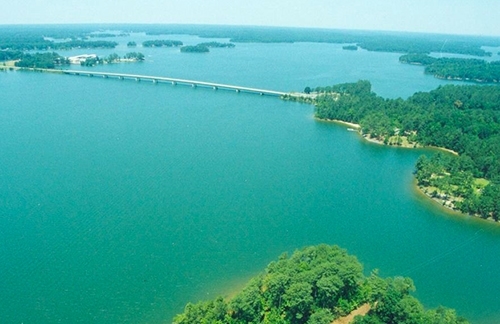 Logan Martin Lake is in east central Alabama which was built by Alabama Power Company in 1965. Logan Martin is 17,000-acre reservoir with a nice selection of fish including common bream, spotted bass, striped bass, largemouth bass and white bass. Another Tennessee Valley Authority (TVA) created lake is Pickwick Lake. 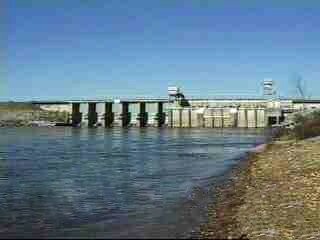 Pickwick Lake spans from from Wilson Dam to Pickwick Landing Dam with an area of 67.34 mi² and is in Alabama, Tennessee and Mississippi. 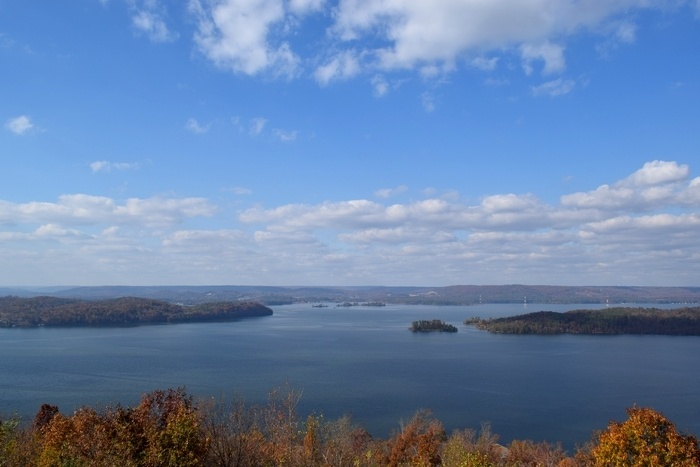 Pickwick Lake offers 490 miles of beautiful shoreline and has some awesome fishing spots. You can find a nice variety of fish including: Blue catfish, Channel catfish, Largemouth bass, Bluegill and Smallmouth bass. 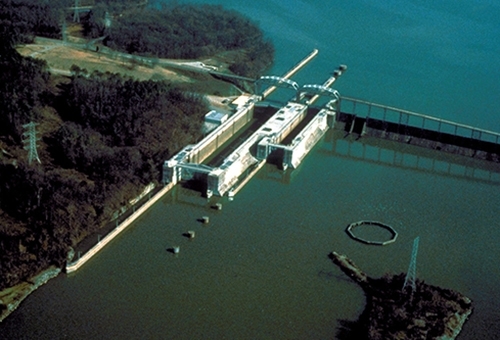 Neely Henry Powerhouse and dam on the Coosa River in 1996 near Anniston, Alabama.